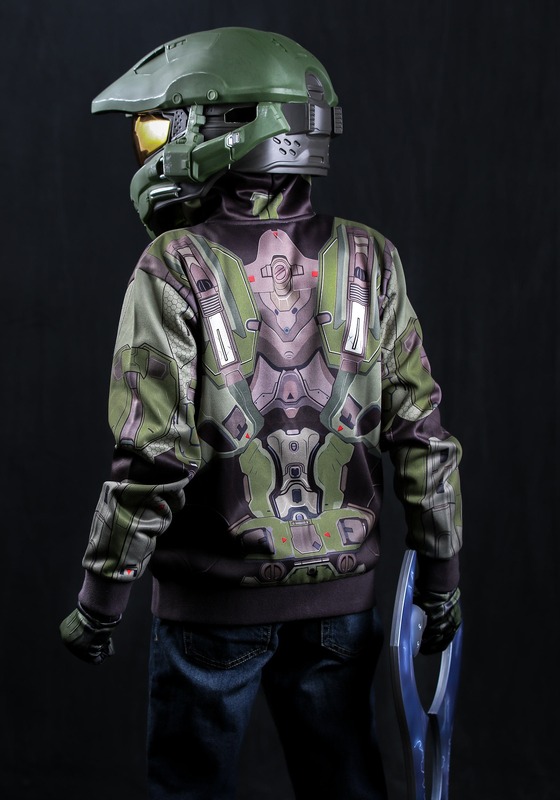 Is your kiddo quite the expert when it comes to guerrilla warfare, infiltration, and futuristic weaponry but only from the comfort of your couch?... While his high scores may be very impressive, the fact that his only physical activity for the last week has consisted of trips to the bathroom and the fridge is rather alarming. Maybe if he had a little more motivation to enjoy the sunlight, things would change. 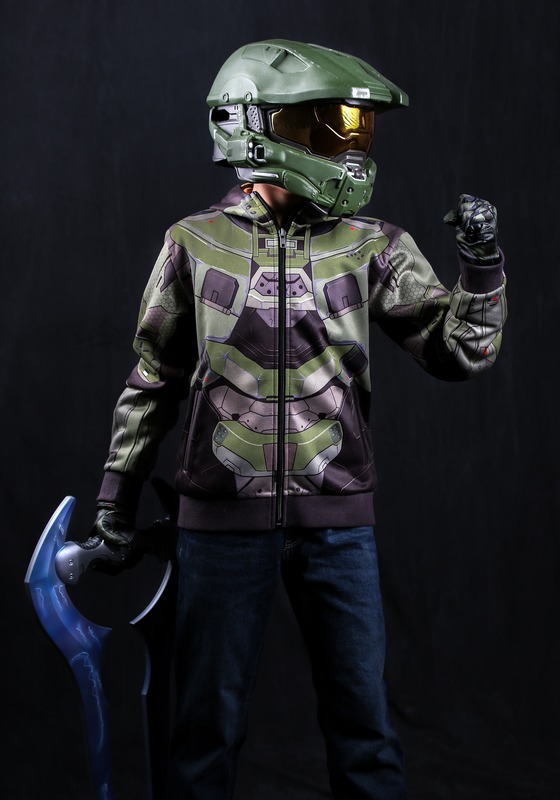 Hmmm... motivation like, say, a Mjolnir Powered Assault Armor suit?! 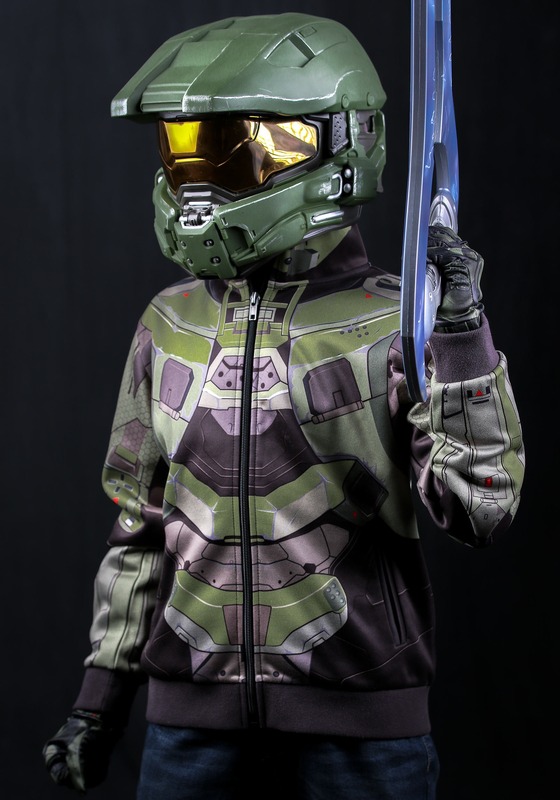 Well, we, as a species overall, still have quite some time before we actually have these super-soldier suits available but you can grab your couch potato this Child Halo Master Chief Costume Hoodie! 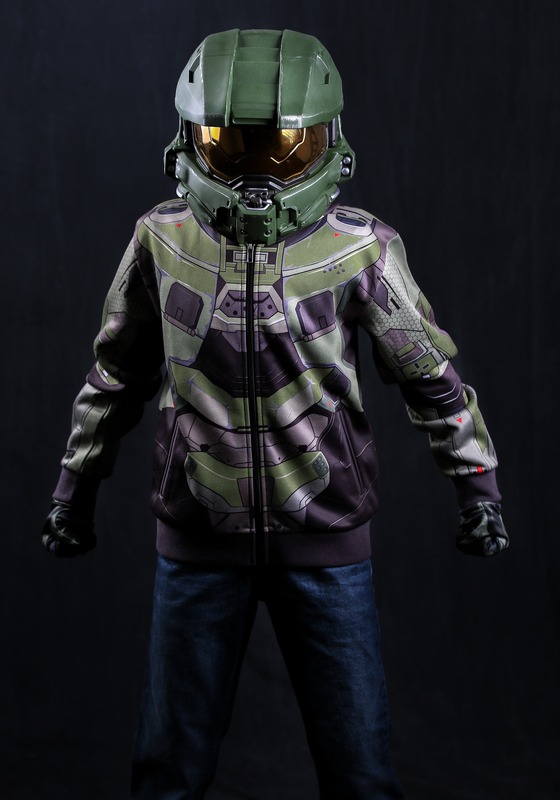 He doesn't need to know that this hoodie won't actually greatly improve his strength, speed, agility, and reflexes like the suits of armor worn by all the SPARTAN super-soldiers do. Although, as soon as your kid starts spending more time outside rather than in front of a TV screen all day, he'll start to redevelop all those muscles the couch ate up. Heck, he might actually feel like those super-soldiers he idolizes so much!